Comprehensive Assessment of Soil Health – The Cornell Framework – Free manual (pdf). This free manual covers soil health concepts, assessment, and management. Also, visit the Cornell Assessment of Soil Health (CASH) web page to learn more about testing services and ongoing research. How to take a soil health sample field sheet and video. Cover Crops for Vegetable Growers - Cover crop selection tool based on rotation and management goals, provided by Cornell's College of Agriculture and Life Sciences. The Climate Smart Farming program; a voluntary initiative that helps farmers in New York and the Northeastern US become more sustainable and adapt to climate change. The Cornell Sustainable Cropping Systems Lab conducts research on cover crop interseeding, perennial grains, forage intercropping, and more. Building Soils for Better Crops – A practical guide to ecological soil management that provides step-by-step information on soil-improving practices as well as in-depth background—from what soil is, to the importance of organic matter. Managing Cover Crops Profitably – Explores how and why cover crops work, and provides all the information needed to build cover crops into any farming operation. Crop Rotation on Organic Farms – In-depth review of the applications of crop rotation-including improving soil quality and health, and managing pests, diseases, and weeds. Iowa State University provides information and tools for budget analysis to analyze farm business changes that include soil health practices. The Cover Crop Economics Tool is a user-friendly economic assessment tool to assess the costs and benefits of incorporating cover crops into a crop rotation. Made available bythe USDA NRCS of Illinois and Missouri. Cost Effectiveness in Conservation Programs: Return on Investment for Conservation Practices and Systems. A webinar by economist John Hanchar describing partial budget analysis. And, the Soil Health Institute has compiled a catalog of soil health policy resources to help agricultural leaders find action-focused resources quickly. View resources. Check out this design for a cover crop roller! The Conservation Technology Information Center provides annual cover crop surveys of farmers across the U.S. The USDA NRCS focus on New York State soil health, with case studies, videos and workshops. The USDA NRCS provides technical guidelines and resources for the use of cover crops. The Soil Health Institute: a wealth of information to address soil health issues like compaction and nutrient depletion. A broad and comprehensive overview of soil health topics across the U.S., provided by The Nature Conservancy. The Cover Crops Database from UC Davis provides detailed information on many cover crop species, from Annual Fescue to Woolypod Vetch. The Soil Health Institute has compiled a great collection of educational resources to help educators develop lesson plans. 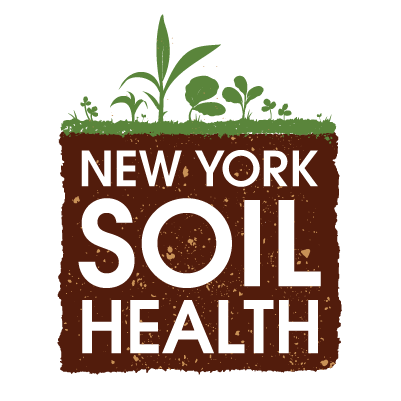 We have compiled a selection of resources and recorded talks from the New York Soil Health Summit on July 18, 2018 in Albany, NY. View resources. Crowley, K, HM van Es, M Gomez, and MR Ryan. 2018. Trade-offs in cereal rye management strategies prior to organically managed soybean. Agronomy Journal 110:1492-1504. Curran, WS, RJ Hoover, SB Mirsky, GW Roth, MR Ryan, VJ Ackroyd, JM Wallace, MA Dempsey, and CJ Pelzer. 2018. Evaluation of cover crops drill interseeded into corn (Zea mays L.) across the mid-Atlantic region. Agronomy Journal 110:435-443. Jernigan, A, K Wickings, and MR Ryan. Legacy effects of contrasting organic grain cropping systems on soil health indicators, soil invertebrates, weeds, and crop yield. (In preparation). Nunes, M.R., H.M. van Es, R. Schindelbeck, A.J. Ristow and M. Ryan. 2018. No-till and cropping system diversification improve soil health and crop yield. Geoderma 328: 30-43. Wallace, JM, Keene CL, WS Curran, SB Mirsky, MR Ryan, and MJ VanGessel. 2018. Integrated weed management strategies in cover crop-based, organic rotational no-till corn and soybean in the mid-Atlantic region. Weed Science 66:94–108. Youngerman, CZ, A DiTommaso, WS Curran, SB Mirsky, and MR Ryan. 2018. Effects of corn density on interseeded cover crops, weeds, and grain yield. Agronomy Journal 110:2478-2487. Krounbi L, Enders A, Anderton C and Lehmann J 2018 Carbon dioxide-mediated ammonia loading onto pyrogenic waste biomass. American Chemical Society, Annual Meeting, New Orleans, 19-22 March 2018, Abstract ENVR 749. Lehmann J 2018 Agronomic and Environmental Opportunities of Biochar Systems. IFAD, Rome. Lehmann J, Hestrin R, DeCiucies S, Woolf D, Sun T and Whitman T 2018 Pyrogenic carbonaceous matter interactions with inorganic and organic carbon and nitrogen. American Chemical Society, Annual Meeting, New Orleans, 19-22 March 2018, Abstract ENVR 747. Mason C and D Wolfe. Nov 1, 2018. Survey of vegetable growers and other farmers in New York reveals costs and benefits of soil health practices. VegEdge Newsletter 14(24): 8-9. Cornell University. Ithaca, New York. https://cvp.cce.cornell.edu/newsletter.php.